When it's not enough to be considered the best of the best. We have the talent and the resources to create programs to sell your home that cannot be matched by anyone within the real estate industry. We invite you to look closely at Century 21 Percy Fulton's unique marketing attributes. You'll soon see why we have been the #1 office in Canada since 1990 and why we're the best choice to market your home. 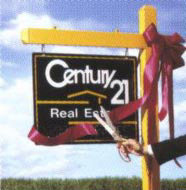 Century 21 Percy Fulton Ltd., as a full service broker, is committed to on-going training and education of our employees to provide the highest level of service to our clients. Hands-on training seminars and specialized resource professionals are utilized to ensure that all areas of the company from the administration to the sales department are kept abreast of clients' requirements, new trends, and government regulations. Ranked #1 office in all of Canada since 1990. The most active office in the Eastern Metropolitan Area. We help over 2,000 families every year to obtain their dream. 10,000 square foot state of the art office facility. Branches offices located in the Toronto and Durham Regions. The highest consumer preference in the real estate industry means more potential buyers for the office listings. The single most innovative sales tool today - exclusive to Century 21 - The Air Miles Program.